If you’re working on the digital side of life in Higher Education then you’re probably already well aware that new-fangled and shiny social media platforms come and go all the time but a few stalwartly contenders who have stood the test of time (Facebook, Twitter, Instagram). In the past year or two we have also seen the rise of user-generated video content from new kids on the block Snapchat and Vine. In the higher education market in particular it’s of particular importance to always be on the lookout for new and emerging platforms as students are always among the first to embrace new trends before they become mainstream. 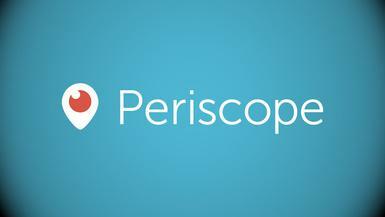 When it was first launched Periscope generated a considerable amount of buzz. Twitter’s new live-streaming app allows users to watch and broadcast live videos from across the globe. Users can save the video streams for 24 hours and an infinite amount of people you know and total strangers can view them, leave comments and feedback anonymously. While Periscope’s splash in the student pool has resulted in limited ripples being formed, if your school is prolific on twitter, Periscope provides a noteworthy opportunity to spice up your content and engage your followers in real-time with Twitter. Periscope: Peter the Anteater at the Santa Ana Zoo. Can’t make it to campus to tour a prospective university? Coastal Carolina University have had the bright idea of streaming live campus tours in Periscope for anyone who couldn’t make it on the day. This has to be just about the next best thing to being there in person! What do you think? Has your university or college gotten on board with Periscope or do you reckon its shelf life is limited? Let us know in the comments below!